Acupressure for neck pain is a complementary treatment option which allows for marked pain relief without the risks of drugs or the fear factor of acupuncture needles. Acupressure is proven to be effective for treating many different neck pain syndromes and certainly has some distinct advantages over other therapy choices. However, not all is positive when it comes to acupressure care, so patients must also accept the negative attributes of this treatment if they are to reap its potential rewards. Acupressure is available from dedicated service providers, but is also offered by many complementary medical providers, such as chiropractors, massage therapists, acupuncturists, reiki practitioners and other types of healers. Acupressure is completely noninvasive and demonstrates no risk of pathogen transmission, unlike its close relative, acupuncture. This essay explores the good and bad characteristics of acupressure for treating neck pain. We will examine some of its most effectual uses, as well as detail some of its main limitations when it comes to pain management applications. Acupressure is a touch healing system of pain relief that is based on the theories and practices of acupuncture. Doctors of Traditional Chinese Medicine have been honing these techniques for thousands of years and they still serve humankind well into the modern age of medicine. Acupressure is concerned with adding or removing life energy from the body in order to provide specific outcomes. This life energy exists throughout the body, but is focused in linear patterns called meridians, as well as in specific points of the body, known as acupuncture points. Acupressure can utilize the healers own hands to provide focused treatment of particular areas of the anatomy or might employ a variety of specialized tools, such as rollers, stylus and other shaped items. Force is applied to large or focused regions of the body in order to enact specific goals. Most commonly, the primary objective is to elicit pain relief, but additional therapeutic goals might include releasing tension, increasing flexibility, improving circulation and encouraging an organic healing response. Western medicine is just starting to understand how acupressure works. Proof of its efficacy has long existed in clinical studies, as well as from a very important source: direct patient citations. Acupressure is effective for providing pain relief. Patients who set out to reduce pain using this system of healthcare usually enjoy good results. Additional benefits of secondary treatment goals are also typically acceptable to good in terms of efficacy. Acupressure is great because it can reduce or eliminate the need for more common and risky care practices, such as injection therapies and the implementation of poisonous drug treatment. Acupressure is holistic and natural, having no inherent risks at all. This is a refreshing change compared to traditional medical therapies that are known to do more damage than they do good. Acupressure is truly complementary and works great with other related care practices, such as massage, TENS, chiropractic, reiki and physical therapy. In fact, some studies show that when used in combination, acupressure is more effective and also boosts the efficacy of the additional treatments utilized, as well. Acupressure is safe and can be used anywhere to decrease the severity of symptoms. Acupressure can also be self administered for maximum convenience and affordability. Acupressure is not all good and no bad. There are some negative considerations to take in account before making up your mind if the therapy is right for your specific needs. 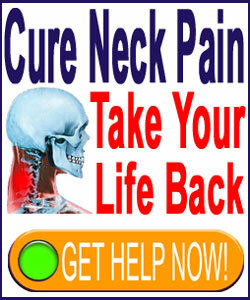 Acupressure for neck pain will never provide a cure for spinal issues, but it can provide pain management. It may, however, help to resolve muscular concerns which account for a significant percentage of all persistent pain syndromes. Even when it is only considered symptomatic care, it is still advantageous when compared to more toxic and risky forms of treatment. Acupressure might be acutely uncomfortable for some patients. Most patients cite limited discomfort, especially when they first begin receiving treatment. 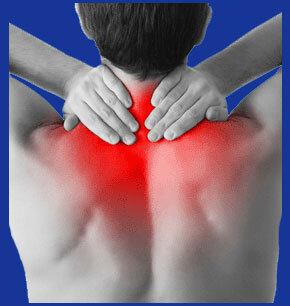 However, some people do report torturous pain when pressure is applied to certain areas of the anatomy. However, discomfort usually decreases with ongoing treatment in almost every case. Acupressure might be expensive and may only provide a short window of relief. However, some patients report long lasting benefits from sessions, so this is certainly not an inherent aspect of all acupressure care. Finally, like many other healthcare specialties, the skill of the care provider can make a huge difference in the effectiveness of the treatment. Therefore, patients are strongly advised to find a true expert if they expect to enjoy the most benefit from their investment of time and money.